The firm has extensive experience representing clients in significant business disputes. We have handled numerous complex litigation matters through successful resolution at mediation, arbitration, and trial, appearing in state and federal courts. Disputes involving partnerships, trade secrets, hedge funds, self-directed IRAs, breach of contract, breach of fiduciary duties, copyright and trademark violations, construction litigation, and employment issues, as well as real estate and tax matters are routinely handled by the firm. The firm has represented businesses, professionals, such as architects and attorneys, as well as individuals and business owners. We seek to develop relationships with our clients in order to achieve cost-effective results through strategic initiatives. • Dennehy Law served as trial counsel in a jury trial held at Middlesex Superior Court in which Mr. Dennehy represented the plaintiff in a Hedge Fund dispute. The defendants were represented at trial by Foley Hoag LLP. The jury returned a verdict in the plaintiff's favor totaling approximately $350,000 on a judgment with interest. • Lead counsel in multi-million dollar Self-Directed IRA dispute with arbitration forum in San Francisco. Mr. Dennehy represented a business that sought control over client accounts and investment assets. The dispute involved the separation of a licensee from a franchise. After successfully handling the deposition of a renowned and published Self-Directed IRA business executive, the matter settled favorable for Mr. Dennehy's Washington State based client. • First chair counsel in arbitration proceeding with a forum in San Francisco, concerning a dispute over breach of a settlement agreement. Mr. Dennehy represented a Pennsylvania based Self-Directed IRA company, who asserted that the respondent had breached a settlement agreement and so a major installment payment was not owed. After days of an intense arbitration proceeding, the arbitrator agreed that Mr. Dennehy's client did not have to make the final installment payment. • Mr. Dennehy successfully represented an architectural firm in Federal Court located in Boston for unpaid professional fees and copyright violations. After engaging in pressing advocacy, the matter settled favorably for Mr. Dennehy's client at mediation. Dennehy Law principally focuses on representing start-up, emerging growth, and middle market companies. We have a particular emphasis in industry sectors, such as architectural, engineering, construction, computer software, manufacturing, and service industry related businesses. Our expertise includes the selection of entity form, and the structuring of the new business entity, corporate governance, financial matters, employment issues, regulatory compliance, and considerations for mergers and acquisitions, as well as development of a company’s growth cycle. We help clients formulate short and long-term goals for their businesses. In addition, we have helped clients draft non-compete agreements, non-disclosure and confidentiality agreements, contracts for services, employment contracts, and contracts for professional services. • Dennehy Law represented a Seattle based company relative to a Merger & Acquisition in which our client was a significant stockholder. The deal went through to the great satisfaction of the firm's client. • Recently, Dennehy Law has represented companies in Massachusetts, New Hampshire and nationwide relative to determining corporate formation, and drafting non-disclosure/confidentiality agreements, operating agreements, and contracts for services, and web design sales contracts. A major emphasis for the firm is our Design & Construction Law practice. We handle all aspects of construction matters, including Contracts, Risk Management, Loss Prevention, and Litigation. Our attorneys have handled construction matters nationwide concerning all manners of construction projects. Disputes surrounding high-rise buildings, colleges and universities, preparatory schools, public schools, roads and bridges, museums and laboratories, office buildings, hospitals and research facilities, and manufacturing and processing facilities, as well as water treatment facilities. We have handled matters involving rework during construction projects where parties to the project are brought together to resolve issues without causing delay to the project. In addition, we have litigated construction disputes in order to allow for successful mediation, and we have taken complex construction matters through trial with exceptional results. • Lead counsel in multi-million dollar construction dispute related to a custom home on coastal New Hampshire. Mr. Dennehy obtained dismissal of architectural firm through a motion to dismiss based upon Statute of Repose defense, which was upheld by the New Hampshire Supreme Court. Lamprey v. Britton Constr., Inc. et. al., N.H. Supreme Ct. No. : 2010-800. • First chair trial counsel in jury trial held in the Business Litigation Session of Suffolk County, Massachusetts in which Mr. Dennehy represented a renowned Boston architectural firm sued by a local university represented by Foley Hoag LLP. The lawsuit concerned the Design & Construction of university buildings in downtown Boston and the plaintiff sought millions of dollars in damages. Mr. Dennehy was able to achieve a partial summary judgment and limit the plaintiff's damages prior to trial. After six days of an intensive trial performance by Mr. Dennehy, the matter settled favorably for his client. • Dennehy Law recently achieved dismissal of counterclaims for errors and omissions against an engineering firm in Middlesex Superior Court. The matter concerned the Design & Construction of an automotive dealership. The dismissal of the counterclaims led to a highly favorable settlement on the engineering firm's claims for outstanding professional fees. • Mr. Dennehy achieved the dismissal of two design firms in litigation matters in New Hampshire. He achieved the dismissal of an architect in an action for personal injury related to the Design & Construction of a commercial condominium renovation project. In addition, he achieved the dismissal of an engineer on a motion to dismiss in a lawsuit related to the development of commercial property and impacts on an adjacent landowner. • Dennehy Law successfully represented a construction company in a lawsuit related to the commercial revitalization of a tannery in New Hampshire. The firm's client sought payment for mobile equipment rental on the project. After initial discovery and prevailing on a discovery motion, the matter settled to the client's satisfaction at mediation. We are seasoned litigation lawyers with extensive courtroom experience. We routinely handle business litigation, design and construction matters, employment disputes, real estate and land use matters, as well as property disputes, personal injury matters, civil rights actions, replevin, and collections actions. We've handled automobile accidents, slip and falls, negligent security, dram shop (over-serving), dog bites, trucking matters, construction site related injuries, and products liability. These matters have included high-exposure cases involving wrongful death, brain injuries, quadriplegia, and disfigurements. Dennehy Law represents businesses and individuals. The firm is highly versatile and can handle most civil actions. The principal of the firm has handled over 30 major civil litigation trials and over 40 smaller trials, arbitrations, and administrative hearings. He has also conducted well over 300 depositions, and numerous motion hearings. In addition, we handle appeals when retained to do so. We work within a well-defined budget and seek the most cost-effective and efficient results for our clients. • Mr. Dennehy successfully represented an engineering firm and an architectural firm in Strafford Superior Court. The multi-party lawsuit concerned an injured worker who was badly burned after a steam pipe explosion. After extensive discovery and deposition practice, Mr. Dennehy obtained a favorable settlement for the engineering client and dismissal of the architect. • Recently, Dennehy Law was successful in representing a Massachusetts engineering firm against a larger design firm relative to unpaid professional fees. The matter resolved favorably for the firm's client without having to file a lawsuit. Mr. Dennehy also represented an engineering firm in the recovery of unpaid professional fees in two Las Vegas, Nevada civil actions. • Dennehy Law successfully represented a homeowner in a lawsuit brought by a contractor who was also an attorney. The plaintiff sought specific performance relative to the sale of a house, return of a deposit, and payment for improvements to the property. Mr. Dennehy filed a counterclaim for unauthorized and defective workmanship, and breach of contract relative to the plaintiff failing to adhere to the terms of a Purchase & Sales Agreement. After productive motions practice and trial preparation, the matter went to mediation on the eve of trial and settled favorably for the firm's client, including dismissal of all claims against the client, release of a mechanic's lien on the property, and the client kept the deposit and got paid a favorable amount for the unauthorized and defective work. • Represented a New Hampshire city in Superior Court bench trial in a dispute over land use regulations, where the amount in controversy was over $800,000. Mr. Dennehy obtained a defense verdict for the city through impeachment on cross examination of plaintiff’s witnesses. • Dennehy Law successfully represented a client in Rockingham County Superior Court and achieved dismissal of all four felonies and a misdemeanor concerning charges related to illegal possession of prescription drugs. Mr. Dennehy asserted constitutional search and seizure defenses in order to obtain the result. • Mr. Dennehy obtained the dismissal of all charges related to the sale of narcotics in a school zone in a matter filed in Strafford County Superior Court. Defenses involved unauthorized search and seizure concerning a search extending beyond the limits of a search warrant. • Dennehy Law successfully handled matters in Manchester District Court and Merrimack District Court in which charges related to Class A Misdemeanors were resolved as mere violations and minimal fines. An intensive review of the police files and asserting technical legal defenses led to the results. • Mr. Dennehy served as co-counsel in a lawsuit brought for wrongful death. The matter involved an automobile accident in which the client's husband was killed by a negligent driver. After developing the matter through investigation and discovery, the case settled favorably at mediation for an amount reported as one of the highest wrongful death settlements in New Hampshire history. •Represented a pedestrian struck by a car near Boston University in an action filed in Suffolk Superior Court. Witnesses had reported on a police report that the driver had a green light; however, Mr. Dennehy's intense deposition practice revealed that was not the case. The matter settled very favorably for the client who suffered facial scarring. • Mr. Dennehy served as first chair counsel in a wrongful death action in which the decedent died in a Massachusetts state hospital, reportedly from an overdose of a street drug. Mr. Dennehy led the investigation and discovery into this matter and determined that the reported cause of death was inaccurate. The actual cause of death was a prescription medication, which had been administered without proper hospital safety measures. After discovery, the matter settled near the statutory cap allowable under Massachusetts law. • Mr. Dennehy successfully represented a client who was riding a bicycle and struck by a motorist. The matter settled to the client's satisfaction through the submission of a comprehensive demand package. • Mr. Dennehy successfully represented an individual assaulted by police officers in an action filed in New Hampshire Federal Court. The matter concerned a mistaken arrest with excessive force that left the client with a fractured neck. After intensive deposition practice and prevailing on a motion for summary judgment, the matter settled favorably for the client. We represent businesses and executives in the employer and employee relationship, helping to avoid potential disputes, and providing legal counsel when they arise. Employment situations concern highly regulated practices, which requires a familiarity with the Fair Labor Standards Act, the Wage and Hour Act, and the Family Medical Leave Act, as well as OSHA regulations, and mis-classification issues. Dennehy Law develops employee handbooks, personnel policies, document retention policies, and workflow guidelines to help employers develop best practices. We have experience with hiring employees, terminating employment, and separation agreements and other occurrences in the workplace. In addition, we draft agreements and covenants that cover compensation, severance, non-compete, and confidentiality/non-disclosure agreements. We also provide representation relative to discrimination, wrongful termination, civil rights, sexual harassment, noncompetition and trade secrets, and wage and hour compliance matters. • Dennehy Law successfully represented an executive level professional with harassment and wage claims through a satisfactory resolution at mediation. In addition, we have represented professionals with mis-classification claims in litigation. 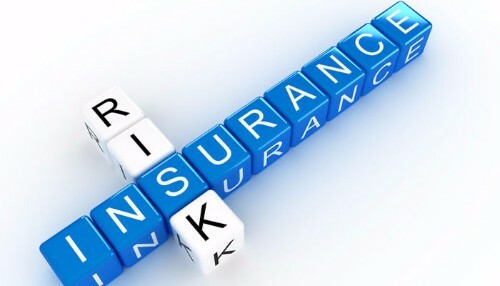 We routinely handle insurance matters for businesses, insurance companies, and individuals. In addition to being an attorney, the principal of the firm is also a Chartered Property Casualty Underwriter with close to a decade of experience in the insurance industry. We often handle insurance coverage, insurance premium, and claims evaluation disputes with effective results, many times without having to file a lawsuit due to our intricate understanding of insurance matters. In addition, the firm offers risk management counseling relative to coverage and indemnity matters. • Dennehy Law successfully represented an individual client against an insurance comany in a civil action filed in Middlesex Superior Court. The matter concerned bad faith settlement practices. After prevailing on summary judgment motions practice, where the trial judge issued a twenty-two page decision in favor of the firm's client, the matter settled to the tremendous satisfaction of our client. • Mr. Dennehy represented a Massachusetts condominium association against its insurance company for failing to provide a defense to a lawsuit brought against the association. The matter settled favorably after Mr. Dennehy drafted a comprehensive coverage letter detailing how the insurance carrier had improperly handled the matter.